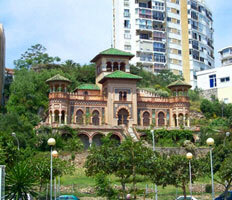 Torremolinos is one of the major tourist areas of the province of Malaga. This town has a fishing village past replaced during its 70s and 80s heyday by different tourism-related businesses such as hotels, restaurants, bars, pubs, clubs, shops, and other establishments favoured by the tourist boom of the Costa del Sol. Its mild climate, extensive beaches, strolling through the streets of the town and its long sea promenade are some of its greatest assets. La Carihuela at the port of Benalmadena, Bajondillo Beach, Playamar and Los Alamos are a few of the most important beaches in Torremolinos. A pleasant walk through Battery Park: perfect for children, this park has a boating lake, a large green area dotted with beautiful trees and small tunnels and cannons to indicate its past as an artillery position protecting the town. 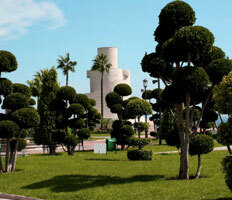 Plus, there's a tower you can climb and get fabulous panoramic views of Torremolinos and the coast. 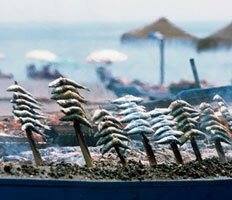 Eating and drinking: enjoy the typical fried fish, grilled sardines, paella, squid and good meat in the bars and restaurants that are located directly on the beach, while sipping a tinto de verano or beer. Nightlife: during the summer along the sea front many pubs and nightclubs open for the season; these places are great for a night out in Torremolinos, whatever your taste in music or vibe. Shopping: in San Miguel Street and the surrounding streets and squares like Plaza Costa del Sol and Palma de Mallorca you can browse the wares of traditional establishments that have survived the passage of time. The Bullring: Torremolinos is famous for hosting interesting bullfights each year, situated in a location with plenty of parking. Al fresco dining: a great barbecue or picnic in the pines near to the town really is a good alternative dining option. Remember, though, that in summer it is forbidden to light fires. Sport in Torremolinos: there are plenty of great sporting opportunities thanks to the spectacular sports facilities that the municipality has next to the fairground. These include several large pools, a sports centre, football pitches, tennis courts and paddle tennis - and more. The Botanical Garden of Molino de Inca: this is definitely a place you need to visit if you love nature and birds. Here you'll find various plants and trees, along with owls, eagles and other interesting animals. 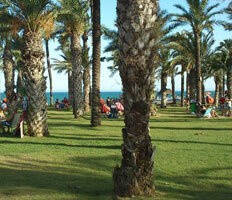 Aqualand: the water park in Torremolinos is another major draw for children and teenagers (and even some adults). The Crocodile Park: another fascinating thing to do for for anyone who like reptiles and wild animals. 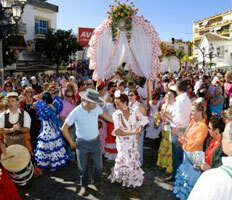 Like the sound of Torremolinos and planning a visit? 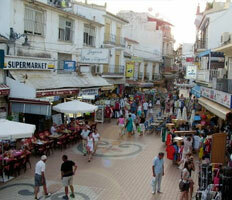 Find out more about the cheap airport transfers to Torremolinos we offer here. It’s simply the most convenient way to start your holiday off. Torremolinos is situated near other municipalities that are very interesting to visit, such as: Marbella, Mijas, Fuengirola, Benalmadena, etc. A lot of travellers take advantage of this fact and get a taxi to these fantastic municipalities.